Shane Long. At the controls. 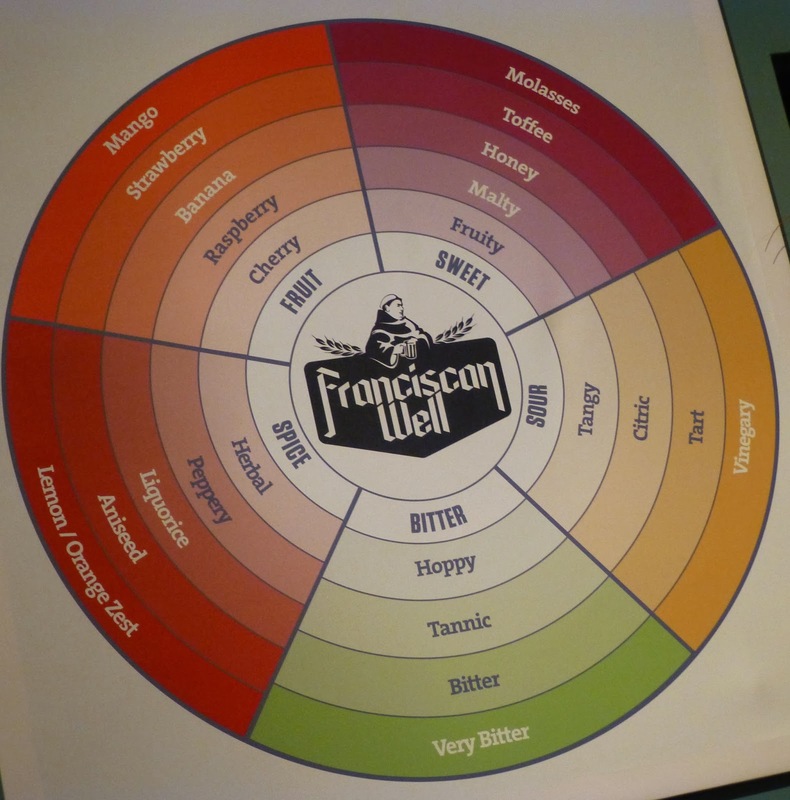 Cork’s Franciscan Well,one of the pioneers of craft beer in Ireland, launched their new Brewery and Tasting Tour in North Mall last evening. 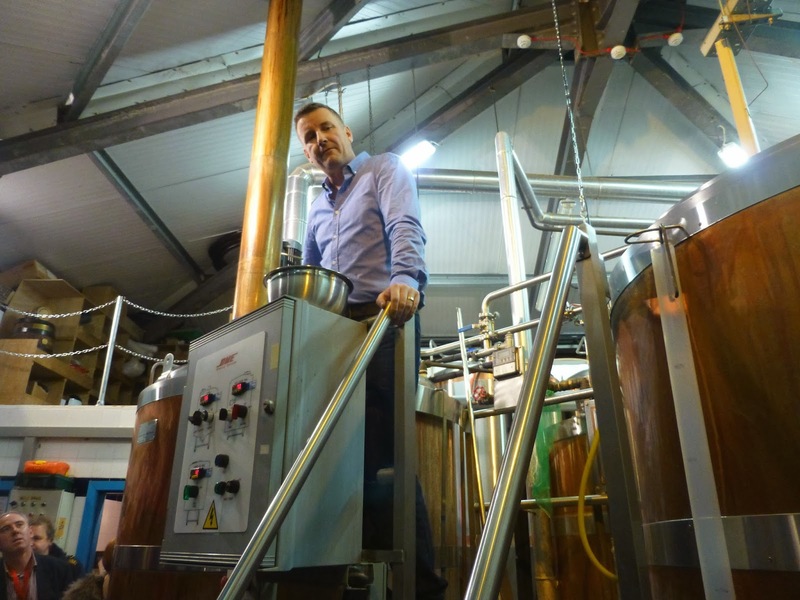 General Manager Shane Long was on hand to welcome last night’s media group and assured us all that Franciscan Well would remain a craft beer producer despite last year’s take-over by Moulton Coors. It will always be craft beer here, always small batches. He indicated that the new brewery is not a huge one but will certainly be an improvement on the cramped operating facility. 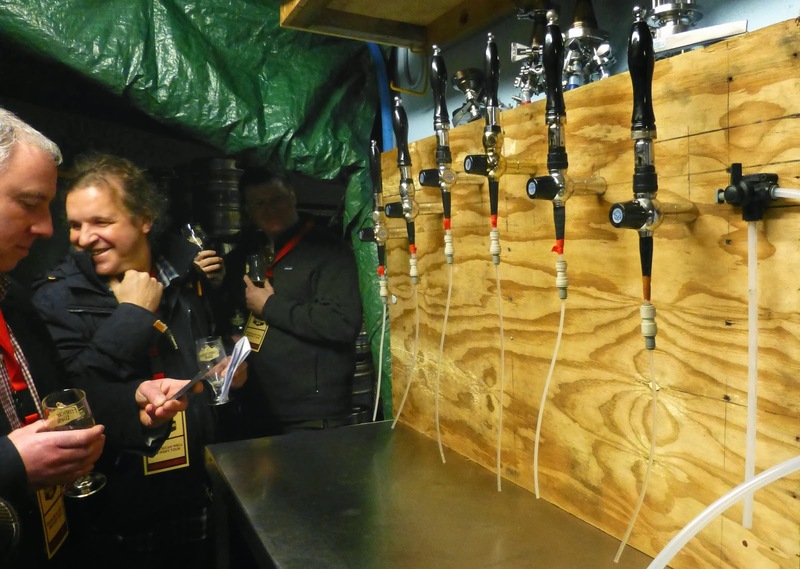 Cramped maybe, and some of the labelling and blotting equipment is pretty basic, but the place has produced some great beers, regular award winners, the most recent coming at the 2013 World Beer Awards where the brewery’s regular Rebel Red Ale won gold as the best amber beer in Europe. Shane hopes their beers will win more awards and, once the new brewery is up and running, he hinted strongly that we’ll see a much improved lager. We then headed to the room upstairs, now the company’s Education/Training facility. Where Des, the company’s “sampler” is in charge and told us about their plans to entertain tourists and educate staff from their customers (not at the same time). We got a little education ourselves in the workshop that followed. How grain imparts colour and sweetness, how hops deliver bitterness and aromas and the use of dry hops and so on. And, then with the aid of charcuterie and cheese from the English Market, not to mention pizza from downstairs, we started the tasting with that award winner Rebel Red. Des was delighted with the award, saying its adds credibility to the beer and to the brewery. This ale has been around for quite a while now but, with its perfect balance (right on the money,according to Des) and “a little bit of sweetness”, it remains a firm favourite. And one of my firm favourites from the Franciscan stable has been and is their Friar Weiss, a German style wheat beer. Always cloudy (no filtration), it has typical bananas and clove on the nose and always tastes zesty and fresh. 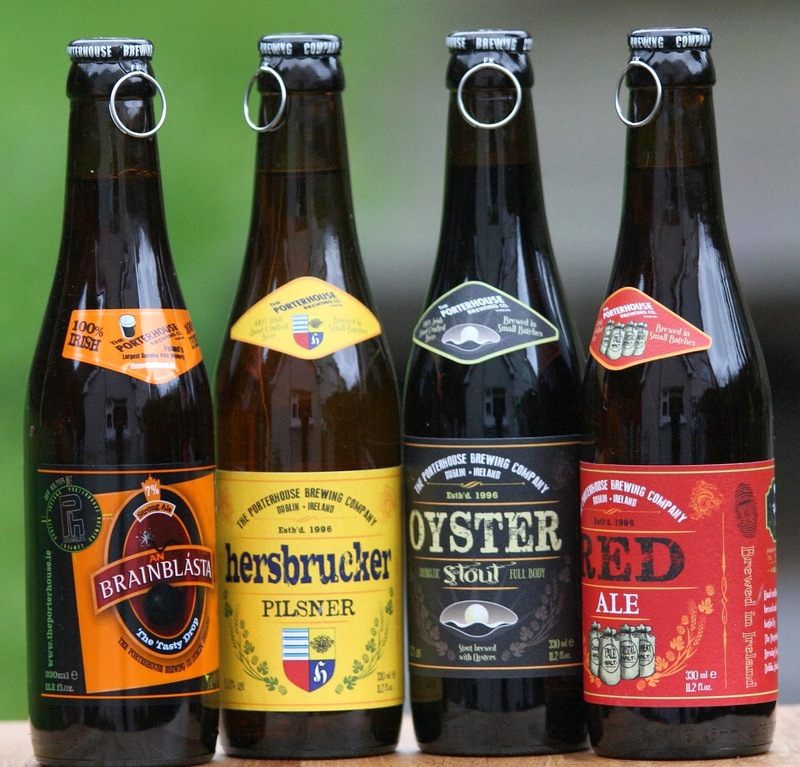 This has been regularly blind tasted in Germany and always passed as a native. High praise indeed. 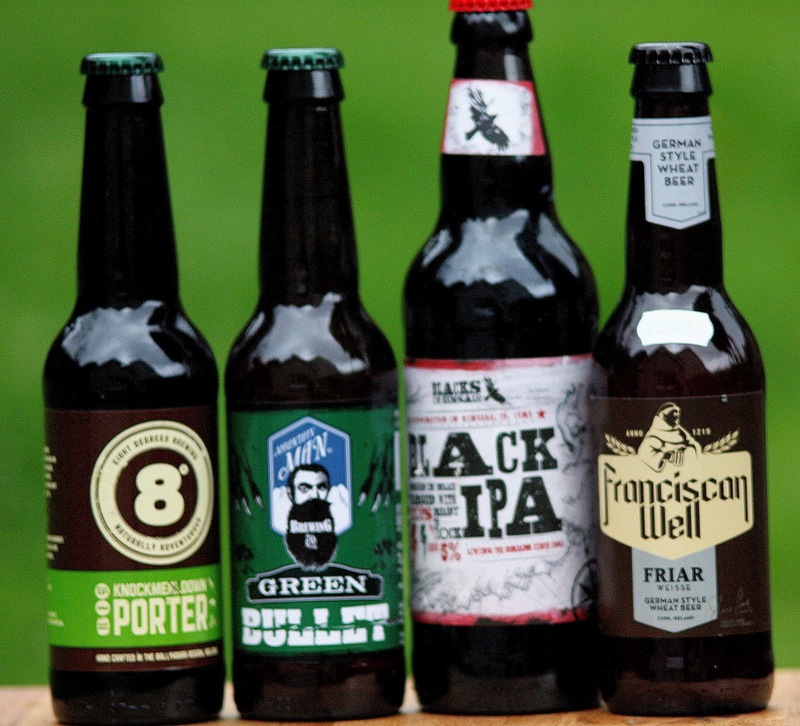 The brewery will have a widespread (including Cork and Dublin) April launch of a beer and cheese match. But I suspect it is another April launch that will have more of their attention. That involves their new IPA, the Chieftain, another name drawn from the history of the location, politics and religion mainly since 1219 (originally the “miraculous” water from the well was the most desired liquid). IPA is “a massive category” and the Chieftain, a cask beer, has a natural cloudiness (or haze) and has an ABV of 5%, on the light side for an IPA. But it delivers all the flavours without any extreme of bitterness. Suited me fine, I must say. And it is the latest example of Long’s canny ability to find a slightly different take on an established style, not necessarily the safe middle ground either. That ability is also illustrated with their regular Shandon Stout. Elements of a real traditional stout for sure but with no real bitterness, it is smooth, the mouthfeel is quite light and the finish is dry. A good balance of flavour overall and as Des said “light chocolate rather than dark”. And we then finished the tasting session on a high with their “showcase” Jameson Aged Stout, made just twice a year, 4,000 bottles in all, many of them already sold! Again, Shane Long shows great ability here. 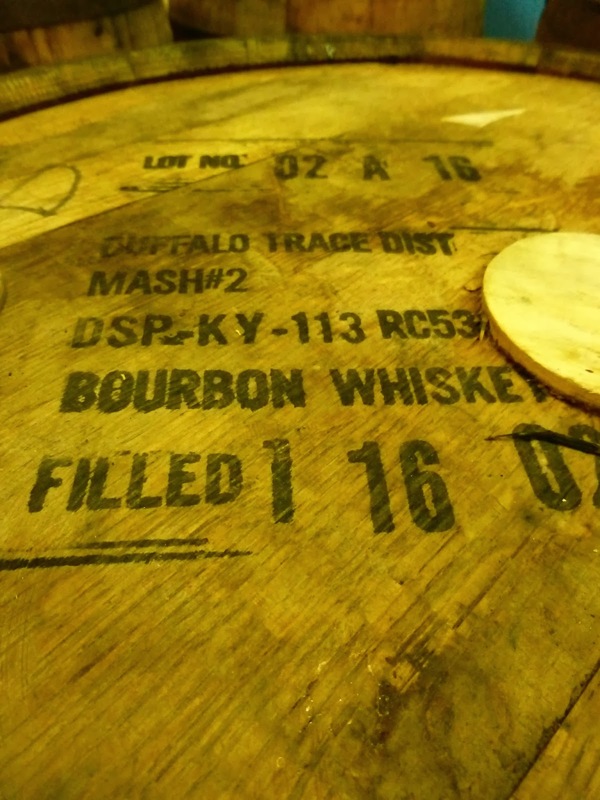 He didn't want the whisky to dominate, the oak to take over, the beer to be just another stout. He got the balance right in this amazing drink, palate warming with an unique flavour, some bitterness, yes, but perfectly balanced. Perfect! We weren’t quite finished yet. We were invited downstairs where more beer and amazing pizzas awaited. A terrific evening. The tours are now open to the public and indeed there is at least one on there this evening. 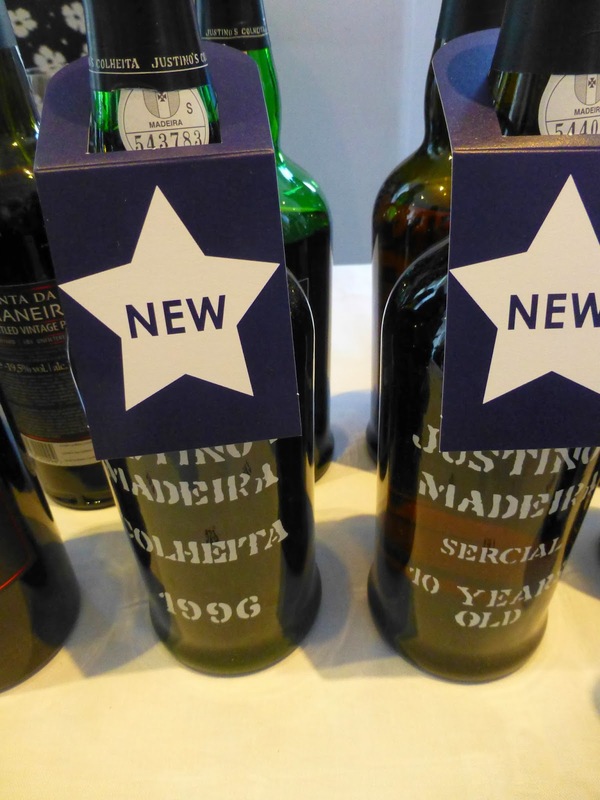 “Before you go, you have to try the Justino’s Madeira Colheita 1996,” she said. I saw she was serious so, before she’d make a song and dance about it, I thought I’d better try the wine. Oh, it was fabulous. A real star of the wine world, just like Miss Susan Boyle who gave me the tip! 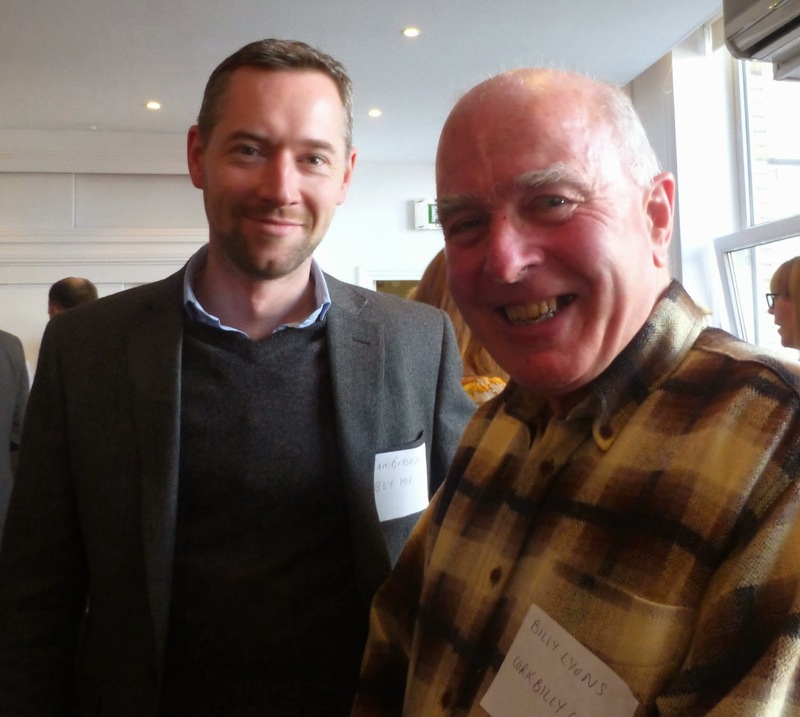 There were many stars on view, thanks to Gerry Gunnigan and Liberty Ireland, over 200 wines I think, from well established areas such as France and Italy to newcomers such as Armenia. And there was quite an impressively large attendance as well at Fallon & Byrne yesterday. Started off with a couple of Grüner Veltliner from Austria. The 2013 Lois was fresh and fruity as you might expect (you’d certainly expect so if you were getting it in one of heurigers on the outskirts of Vienna). But the more serious Loimer 2012 Kamptal, from one estate, was the better of the two. New Zealand also had a couple of GV’s on show and Tinpot Hut’s 2012 McKee Vineyard effort wasn't a million miles away from the Lois. The Paddler’s 2012 Marlborough was really engaging, loved its fruit and good length. Now it was time to compare a couple of Sauvignon Blanc / Semillon in what turned out to be a Bordeaux v Margaret River contest. Great to meet Emma Cullen again as she poured her 2011 Mangan River. Just one word here: superb! France would have to go some here to match that and the Chateau de Rayne Vigneac took up the challenge with its 2012 Le Sec Bordeaux Blanc, a wine new to the Liberty portfolio. There was a distinct aroma of celery, unusual, but it is quite a fine smooth wine and refreshing, though without having quite the same heft as the Cullen bottle. Emma was also showing a smashing new red, the Margaret River Mangan Vineyard 2012 Malbec/Petit Verdot/Merlot. Malbec has the lead role here with 54% while the Petit Verdot has 29%. It is an exciting blend and an excellent wine. Look out for it! Bordeaux would come into its own with the reds and we had a few good ones in a row. Started off with the basic Bordeaux Superieur (2011) from Chateau de Mahon Laville, an excellent effort at that level, full of flavours and with a good finish. The standard raised another notch with the Château Tour de Capet, St Emilion Grand Cru 2010, a superb wine. That got a close run from Clos St Vincent, also a St Emilion Grand Cru, also 2010. This too was very good but my vote goes to Tour de Capet. Must call to one or two of those when I’m in the area in June! Tried some very good Italians also, including two gorgeous Amarones, but Bordeaux had stolen a march and we left it that. Well, not quite. We sipped happily on the Valdespino NV Manzanilla Deliciosa before ending on another high with that gorgeous Madeira*. *Gerry told me that Cork readers will find the Madeira at O’Brien’s in Douglas. A cold wind blew on the banks of the Grand Canal as we strode down to the Forest Avenue Restaurant in Sussex Street (Dublin). But soon I felt as if we were sailing away on a summer’s day, such was the gorgeous lunch served up to us, in a light and delightful style. 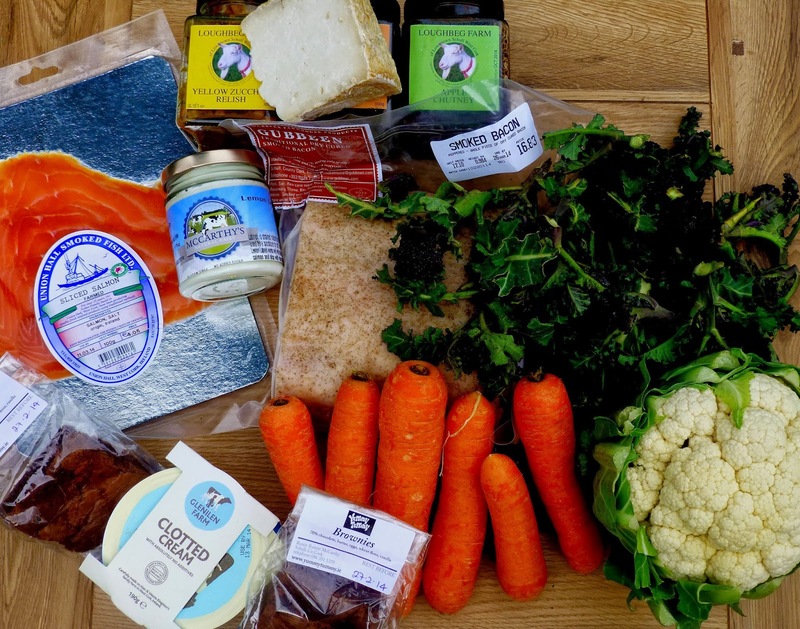 Here you’ll be fed well without necessarily getting the traditional “great feed”.Quality over quantity! The relatively new restaurant is run by Sandy and John Wyer (who I found out is from Glanmire, the parish next door to my Cork base!). 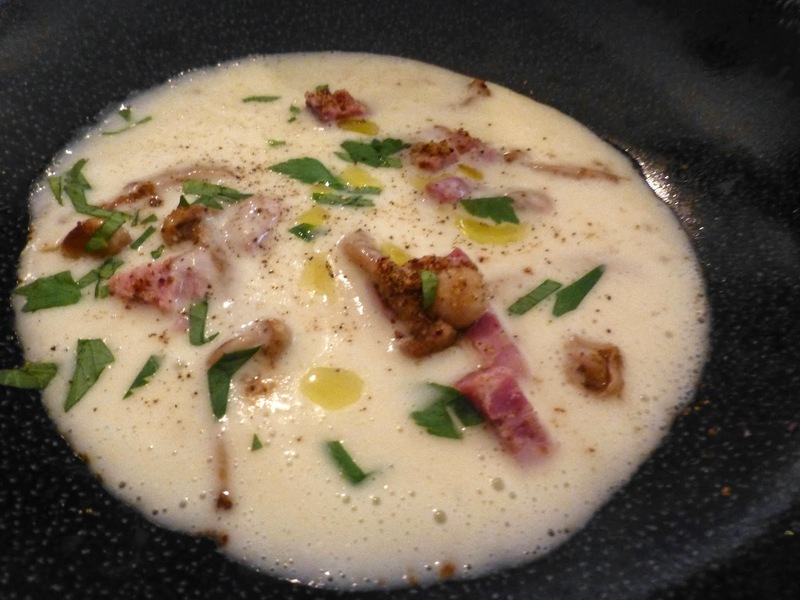 We got a hint of what was to come with a tasting of their Potato soup (above) with pickled mushroom, and ham, and lovage. 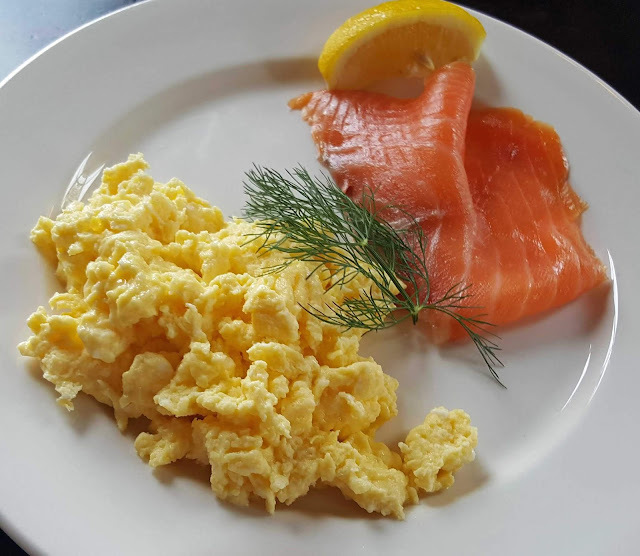 Simple ingredients but a superb result. The pricing too is pretty simple: 15 euro for a main course, 20 for two courses and 25 for three. Well worth it! Service, led by Sandy, is friendly, informative and excellent and the place itself is casual and comfortable. Very Highly Recommended. They are open for both dinner and lunch and do remember that menus change quite frequently. They have an appropriately short wine list but, after a tasting that morning, we were happy to see some craft drinks on the list, including that excellent Stonewell Cider. We shared a bottle and it went very well indeed with the food. The potato soup was one of the three starters on Wednesday’s menu. 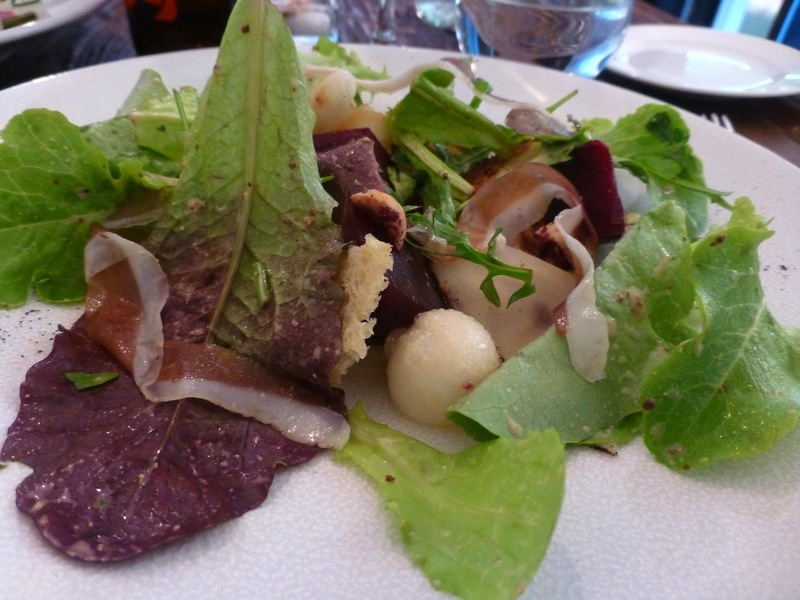 I picked the Salt Baked Beets (below), celeriac, hazelnuts, house-made ricotta, pear and house-cured duck pastrami, another great mix of ingredients resulting in lovely combination of textures and flavours. And much the same could be said about the other starter, which CL thoroughly enjoyed. 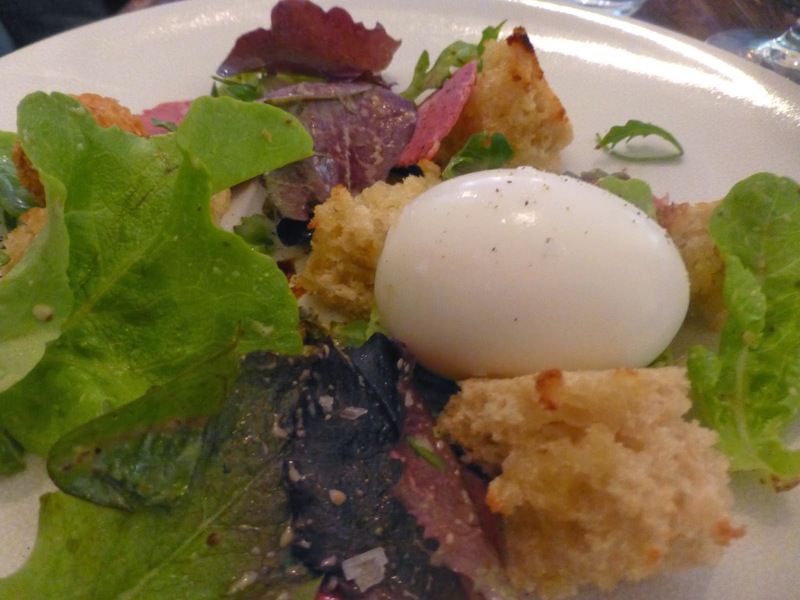 That was the Salad of Grilled Leek (above), soft egg with smoked beef and torn bread. 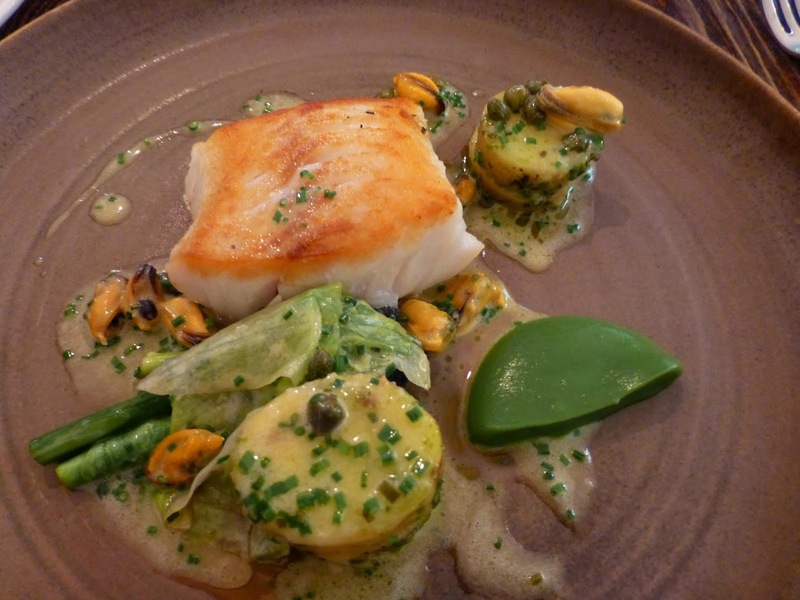 There were also three choices for mains and mine was the Cod with sprouting broccoli, mussels and horseradish. This was so appealing, both to the eyes and to the palate, a deliciously perfect example of the light style referred to earlier. The third mains, by the way, was the House-made cavatelli with squash, olive and capers. Desserts too looked tempting but, on this occasion (it was turning into a packed enjoyable day in Dublin), we reluctantly gave it a skip. 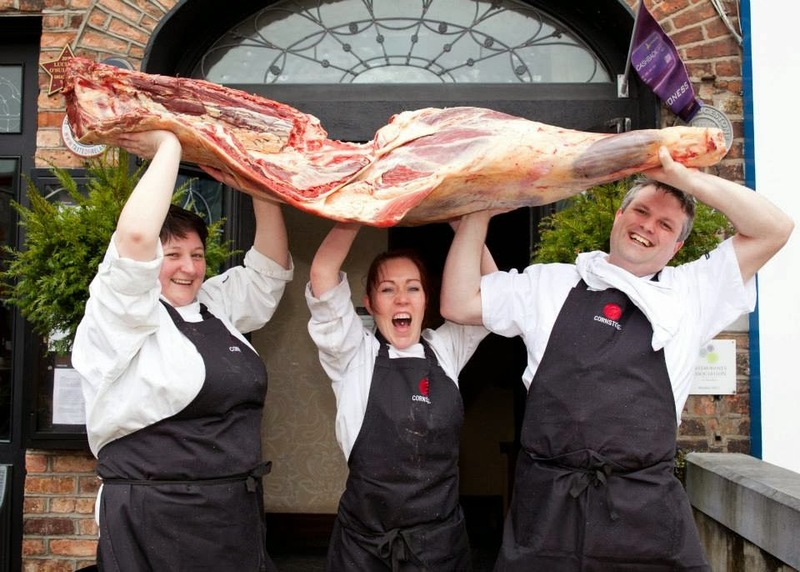 When the folks at Dublin’s ely Wine Bars go home to Clare they collect most of their meat from the family farm and get the lamb from the farm next door on Craggy Island. 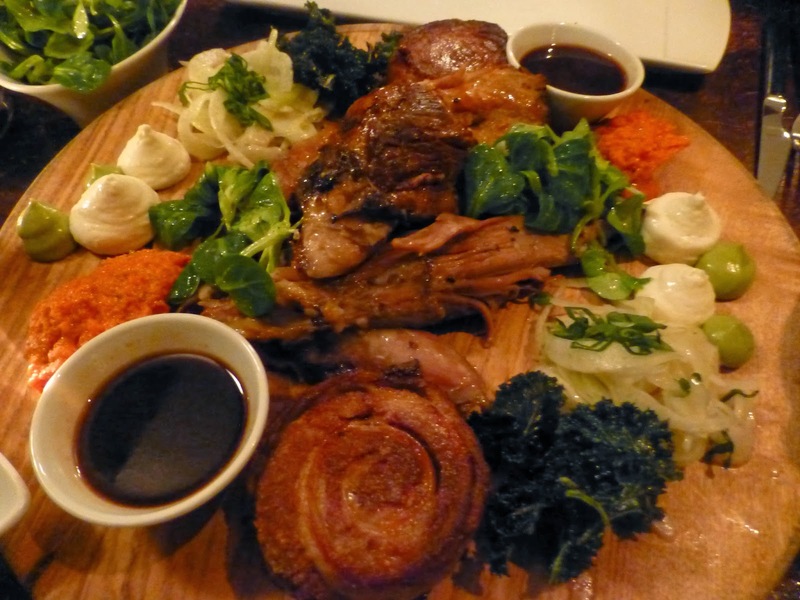 In Ely Place (Dublin), we had some of that lamb last evening and it was a highlight, slow cooked and superb. And a huge choice of well priced wines to choose from. We had started with a glass of sherry and were soon into our starters. 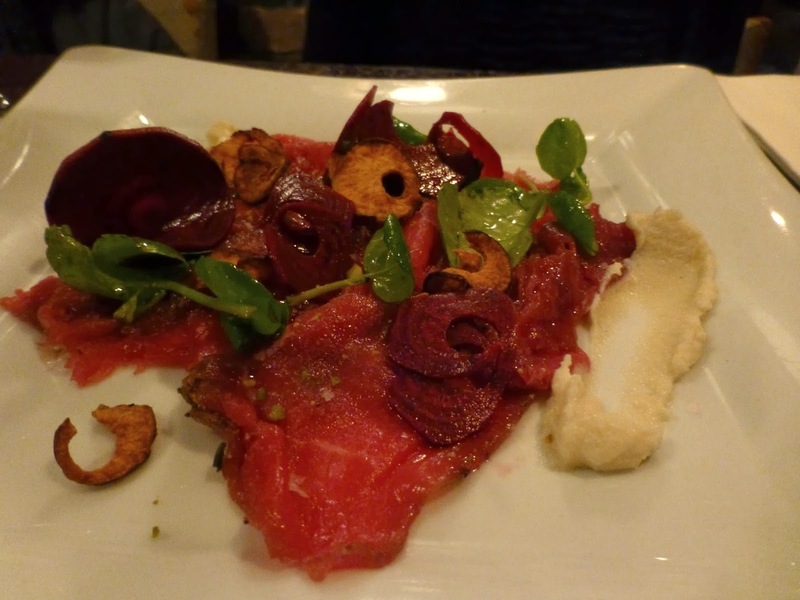 Mine was a delightful Roast Cauliflower and Parmesan while CL tucked into the family farm beef: Organic Burren beef carpaccio with artichoke and radish. We had been going through the extensive wine and decided on the Chateau Fongaban Puisseguin St Emilion biodynamic and it proved a superb wine and a superb match. The lamb was something else, slow cooked and served with sun-dried tomato pesto, goat cheese mousse, shaved fennel, a big bowl of lovely lamb’s lettuce and jus. Amazingly, there was room for dessert. And some pretty amazing desserts, I might add. 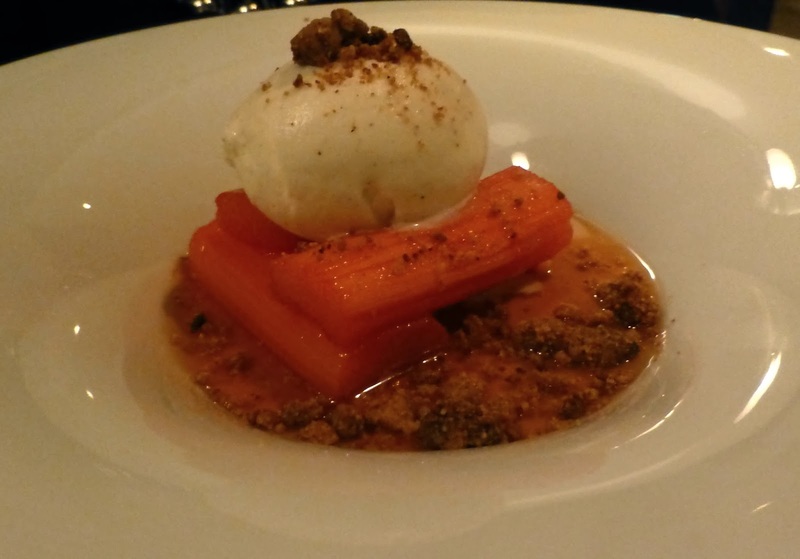 CL went for the Poached Rhubarb served with vanilla ice cream and ginger crumble and that went down well with the recommended Chateau des Fesles, Bonnezeaux Chenin ‘05. 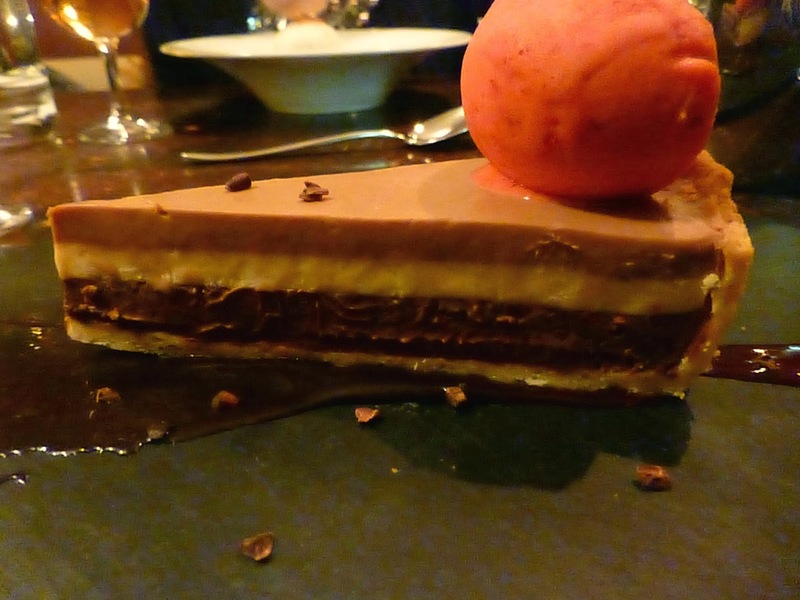 My pick was the 70% Chocolate Truffle Tart and Raspberry Sorbet. This was divine. Didn't take the recommended Banyuls but was very happy with my choice the Chateau Haut Mayne, Sauternes ‘09. And that was it, a lovely end to a very satisfactory meal indeed, Time then to walk it off with a round or two (well, half a round really) of Stephen’s Green. The course is €695 with a payment plan available to those interested. It is just past 6.30pm on a Friday evening and Cork’s Cornstore restaurant is already abuzz. But still time for a warm welcome and soon we are at our table studying the various menus. I asked the waiter was he expecting a busy night. “Ah, not too bad,” he said. “About two hundred.” Cool or what? But he and the rest of the Cornstore crew sure know how to run the popular Cornmarket Street venue with equal measures of efficiency and friendliness. 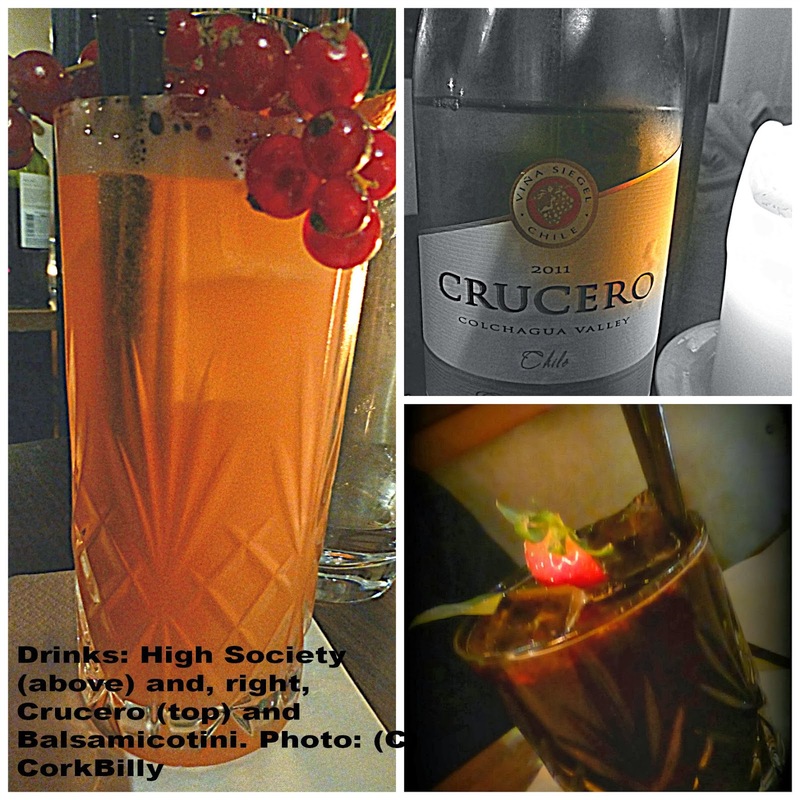 The Cork restaurant, they also have one in Limerick, prides itself on its steaks and seafood. The aged steaks here are top notch but we turned our attention to the fish on Friday night. I went straight to the water with their Haddock Mussels (€10.50), a delectable balance of textures and flavours and a spoon (didn't have to ask!) available to scoop up the sauce. with fig jam, roast red pepper and sun dried tomato pesto (9.50). 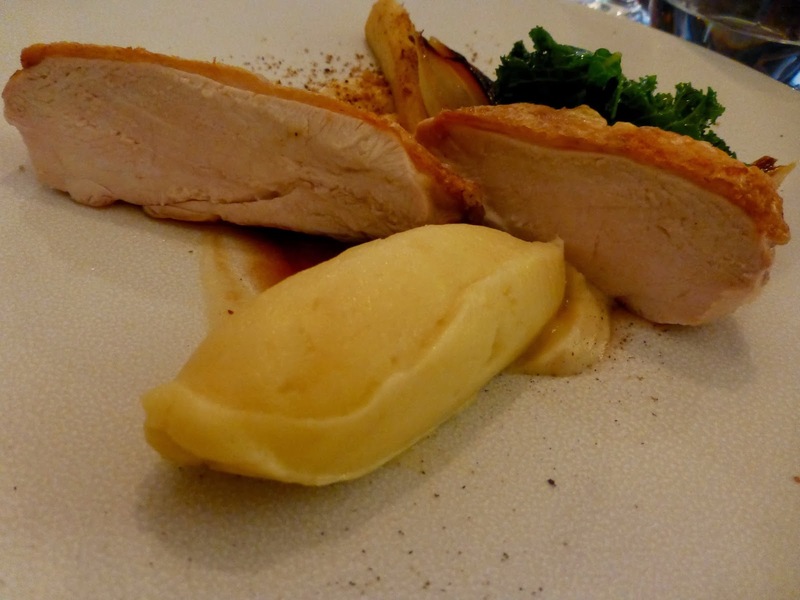 The pastry was beautifully crispy, packed with flavours. 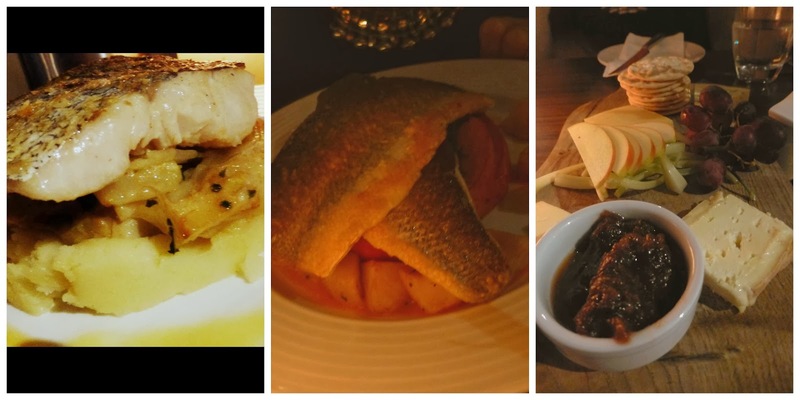 From left: Hake, Sea Bass, Cheese. So we were off and running and getting into the wine. They have something of a “sale” at the moment and we got the Chilean Crucero (Chardonnay) for thirty euro instead of the normal forty. Aromatic, fruity, with refreshing acidity and with a good finish, it turned out to be a very enjoyable bottle indeed. and grapefruit juice - light, bright and lovely! CL picked the Balsamicotini (try saying that quickly at the end of the night!) and this serious mix consists of Grey Goose vodka, fresh strawberries, balsamico, fresh basil, fresh lime juice, cranberry juice and strawberry syrup. By that time, we had dispatched the mains. Hers was the Pan seared seabass on a potato rosti with roast organic pumpkin, spinach, and a carrot and orange reduction (€22.95) while I picked the Oven roast hake on braised fennel, potatoes, pappardelle of carrot, lemon beurre blanc and a prawn oil (€19.95). Both were superb. We didn't quite finish off the plates (you get vegetables on the side as well) but portions are Irish size here! No dessert as such but we did share a well picked Cheese Platter (including Cashel Blue) with chutney, apple, celery and grapes. Nice and tasty finish. Cocktail time! 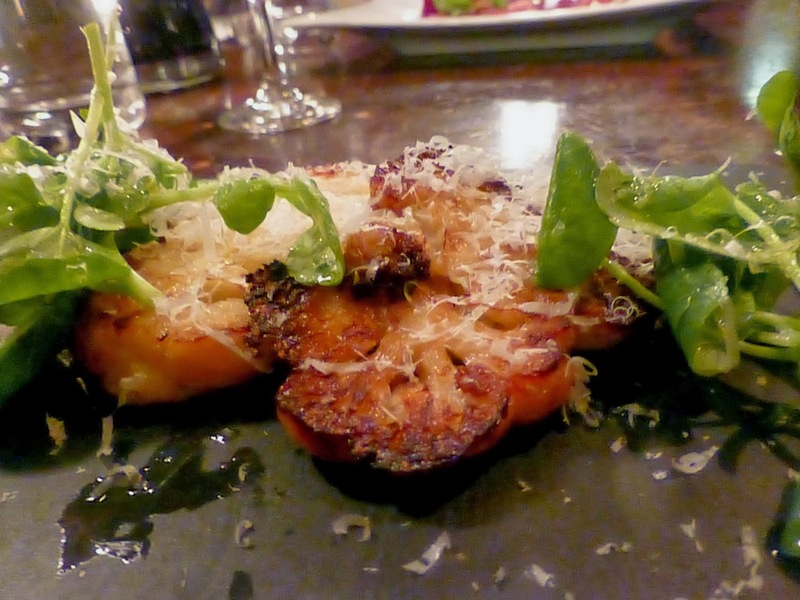 The Cornstore Restaurant offers delicious award-winning menus over 2 floors in a lively, Manhattan style surrounding. We specialise in premium Steaks & quality Seafood, award winning cocktails, new world beers & a vast wine selection. Mountains, Football, Nutella and Good Wine! 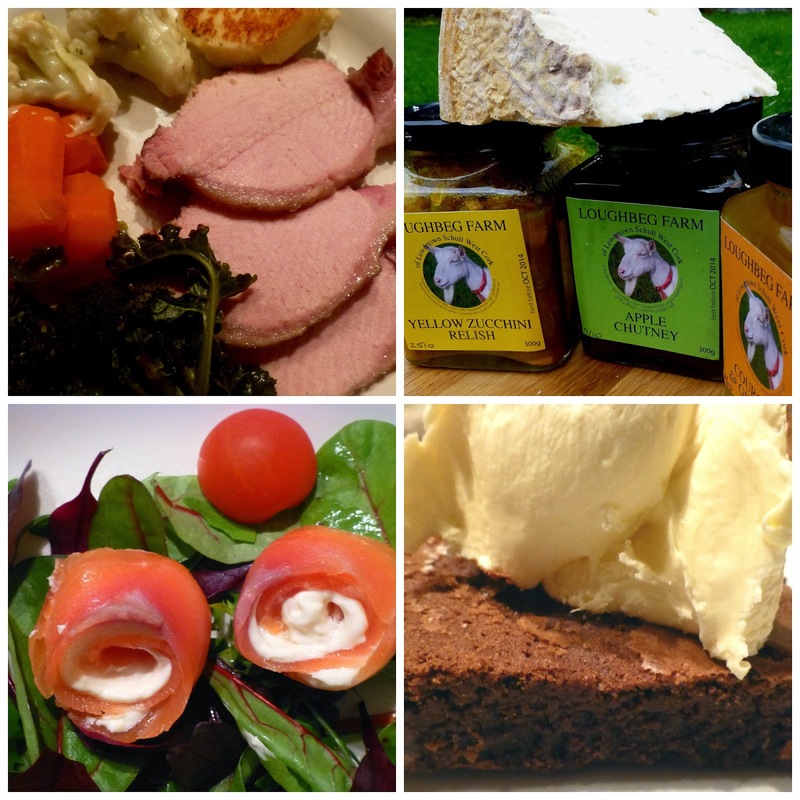 Fresh from West Cork. In the heart of the city! Wanted: Ireland’s best student chef!